﻿ Passau tour from Salzburg, the confluence city of Bavaria, Germany. Passau is for sure a different city in Bavaria. Some people already call it an Austrian city and others one of the most bavarian cities of Bavaria. This boarder city of Bavaria is directly on the confluence of three rivers. Already the romans realized it’s strategically location and had a roman fort there to protect their empire from invaders. 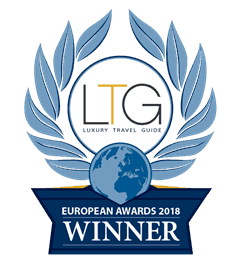 Nowadays the importance of this strategically position is not that important any more but the town is still important for cruise ships that bring tourists along the Danube and also for traders and companies that export to other countries. The confluence of the three rivers Danube, Inn and Ilz played also for the church an important role, especially when the salt trading on the Inn river was the most important income for the area to the salt-less area of Bohemia (nowadays the Czech Republic). The main church of Passau is even nowadays one of the most impressive church in the area. Nowadays the city of Passau has 50.ooo habitants and is the second biggest city of the province of East Bavaria. The biggest threat of Passau still nowadays are the high waters that happened quite often in this area due to the rivers. The last big flooding happened in the year 2013 when most parts of the old town were under water. 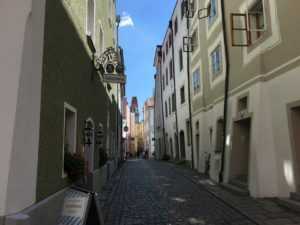 Passau nowadays welcomes tourists from all over the world with a friendly manner, historically buildings and the biggest church organ in the world. The city itself kept it’s charming character and does not want to change too much and this makes it even nicer. Passau is a beautiful town. It will bring you back in time to realize how people lived and settled here. The history of Passau reflect that perfectly: The city of Passau was firstly settled by the celtics and during the time of the romans a small fort was established were nowadays the main chruch is standing. In the 5th century the romans left from Passau and already in the 8th century Passau became a bishop’s city. By the end of the 10th century the bishop received also the power to rule over the city of Passau. In the 12th century during the period in chich the iron production became one of the most important industries the bishop received the title of aprince bishop and therefore had also the possibility to get more influence and becoming a ruler over the area and therefore built a new residence and also the Veste oberhaus (the fortress of Passau), which was used as a defensive building and to store the income of the taxes received from traders and barches along the rivers. This also brought also the liberty to allow the freedom of religion of Passau which started already in the 16th century and allowed since that time all kind of confessions. A right that is still active nowadays. 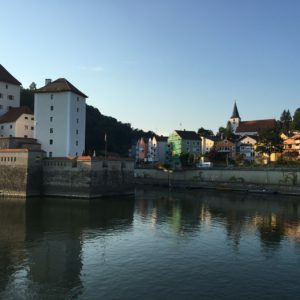 Due to a lot of fires and floodings the comunity of Passau always were very helpful among each other and outsiders because it is still nowadays expected that if a flooding would happen also outsiders will help them. This is one of the specialities of the people of Passau. Even during the second world war when nearby Passau a branche of the concentration camp of Dachau and Mauthausen had been established and destoryed during the bombings in 1945, Passau immediately became a refugee city for people from Slesia, Bohemia and other areas. The local people of Passau worked together with wthe refugees to rebuild the city and to help refugees to integrate immediately in the daily life as it was expected that refugees needed help but also can helo the population to rebuild the destroyed buildings. Also in the year 2013 when the biggest flooding since over 500 years happened in Passau, students, people from the areas around and the population of Passau helped all together to clean the city from the water and mud that was in the city center. The students have even been awarded by the ministry of Bavaria for their courageous help and work. 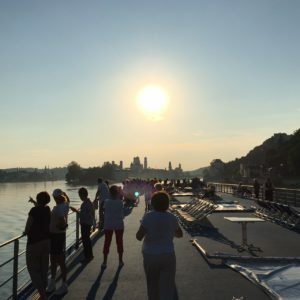 In the year 2015 when in Europe the big refugee crisis happened Passau became one of the first entry points into Germany and was another time the proof that the population of Passau works together to help for the arrival and welcomed in the best possible way refugees to be then distributed to all other parts of Germany and Austria. Passau nowadays reflects the Bavarain culture very well and shows you in many ways how the culture can be included in the architecture, the lifestyle and sights. The old town is on a hill upon the confluence of the rivers Inn and Danube. To both sides there are steep roads and steps to get up to the Dom’s square and the St. Stephan’s cathedral. The style reflects italian architecture and the so called Inn and Salzach style and therefore is also named as the Venice of Bavaria. With it’s baroque and renaissance buildings the town reflects perfectly the Bavarian baroque style and this architecture. The town is directly on the confluence of the three rivers that reflect also their colors and can be seen in many buildings, art and crafts: green, blue and black. The green color from the Inn that originats in the alps and brings lot of minerals with it, the Danube in a blueish color (the deeper river) and the black color from the soil of the Ilz river. The most important buildings to visit are the main cathedral that has been rebuilt after a big fire in the 17th century, where only the gothic east walls from the 15th century remained and nowadays with the biggest church organ in the world, the Dom’s square with the statue of King Max 1st the first bavarian king with a constitution. Besides that the old town hall is definitely worth seeing, with it’s fresco looking as it would be from the 16th century, but made in the 20th century, a complex of 5 buildings, of which one used to be a brewery. People in the city say that still nowadays the best decision are made after som beers. In Bavaria beer is is not considered an alcoholic beverage but part of the daily food and therefore has no drinking age limit. Just be aware that when you order a double „Maß“, it is normally considered as a 3 litre glass (1 for the beer, 2nd because people are really thirsty and the 3rd for god). Passau also has a brewery in town as a typically example of the bavarian culture. Next to the old town hall is also the biggest glass mueum of Germany with the most famous glass products from bohemia and Germany. Passau is nowadays not only a mixture of the Austrian and Bavarian traditions but also a mirror of how people work together through any crisis but also expect to be helped when needed. You will see it through the architecture and also through the style of how people welcome you in the city. Most of the shops will sell you products form the area and reflect also Bavarian hospital with modern technology. Do not miss out to take a walk along the river of Inn where you will find locals walking and enjoying the sun and the strength of the water while watching the two big rivers flowing together and getting new energy by the calmness of the water. Also you can enjoy some nice chocolate with real gold inside of the famous pastry shop of Simon and watch out when you go to the toilet some times later and realize that it is shining of gold. 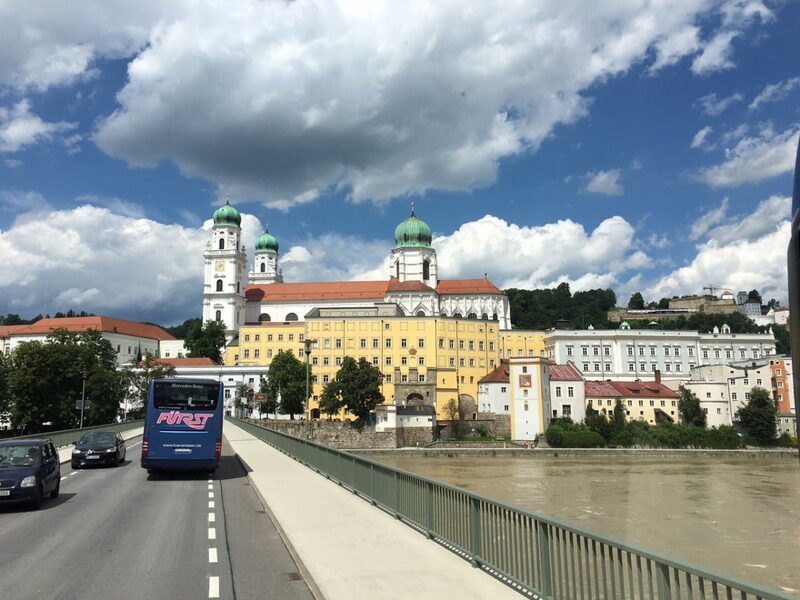 Visit Passau and learn more about this city – history, funny and informative stories about this time, beer and church live – b(e)specialtours! 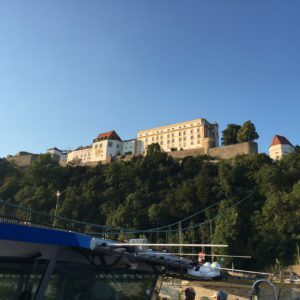 If you want to enjoy some great time in Passau, book a private tour to Passau with B(e)special Tours from Salzburg, or arrive directly in Munich, enjoy a city tour with our comfortable van, enjoy a guided walking tour through the town of Passau and continue a nice drive either through Germany, or Austria. 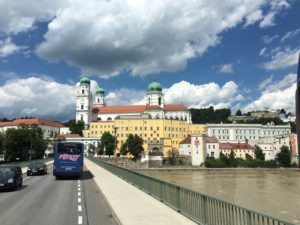 So if you are planning to come to Passau, or if you want to Visit the city of Passau and the beautiful road coming from Salzburg then please do not miss a nice ride with b(e)special tours! 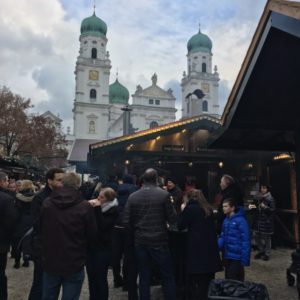 It is fun for youngsters and the older ones and you can taste a lot of delicious typical Austrian dishes and of course a lot of Beer! Enjoy the fascinating city of Passau – Passau and history – with fresh ideas, food and a lots of fun – b(e)specialtours!